For the all-mountain pint-sized ripper and your go-to shred partner, Burton created the Burton Deja Vu Smalls Snowboard. 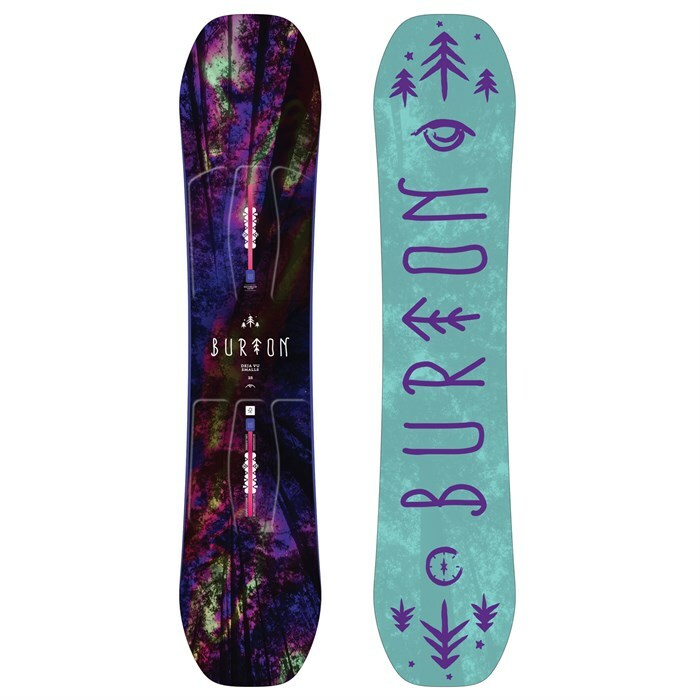 This shrunken little sister of the Burton classic will give your little one the tools to progress to new heights. Soon, your little ripper will be leading the way rather than nipping at your heels. Filet-O-Flex  Some riders want a more flexible board without sacrificing performance. Filet-O-Flex solves that challenge with ultra-thin profiling that creates soft boards that rip with maximum stability, durability, and grip. An additional benefit is subtle suspension and underfoot padding. Scoop  This exaggerated tip and tail scooping turns up the edges for a looser, more forgiving feel that adds catch-free fun when riding everything from a knee-high box to neck-deep pow. FSC™ Certified Super Fly® 800G Core  Lightened up and loaded with pop, Burton's dual-species wood core utilizes dual-density vertical laminations of alternating softwood/hardwood to reduce overall weight with no sacrifice in strength or performance. Biax™ Fiberglass  Gives the board a jib and park friendly feel by softening the torsional flex. Extruded Base  An extruded base is full of speed, strength and amazing pop. These bases require little maintenance. Rail Ready™ Edge Tune  The edges are beveled so you can slide boxes without catching an edge. But you still have enough of a grip for slashing and jumping.